If you are self-employed or a sole trader you have less statutory administrative requirements than a Limited Company. You do not need submit annual accounts or corporation tax returns, instead your business will be taxed through your personal tax return. On your earnings you will have to pay income tax and Class 4 national insurance plus you will have to make Class 2 national insurance payments. For the tax year 2017/18 Class 4 National Insurance is currently charged at 9% on your profits between £8,164 and £45,000 and 2% on profits over this amount. Class 2 National Insurance is currently £2.75 per week and can be paid by direct debit. However, if your business earns less than £6,025 you will be able to claim this back. We can help you obtain this refund. We can help calculate your tax liability so you are not faced with an unexpected tax bill when your tax falls due. We can help you calculate your tax return and, if needed, we can put together sole trader accounts for you. 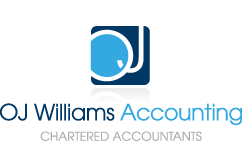 Having accounts can help you get through any tax or VAT investigation and can help obtain bank finance. They will also make your self assessment tax return very simple and much cheaper to calculate and submit. Due to all the above taxes there is a point where it is more tax efficient to put your trade through a Limited Company, especially if you have any other income. If you are a self-employed sole trader we can review your situation to see if it would be beneficial to incorporate a company to trade through. This could potentially save you £’000s of tax.